In 2015, Ferrara Pan Candy Company set off to make the world's most uncompromisingly delicious candy. As passionate lovers of premium candy, we envisioned batched-made sweets that could delight the palate, mind and soul. Committed to making only USDA Certified Organic candy, we pioneered new cooking methods and scoured the globe for carefully sourced ingredients. We believe in a small batch process, that delivers big flavor at a sensible price. 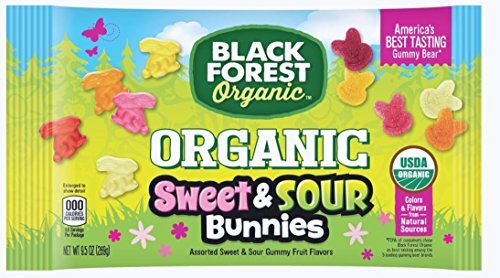 The results of our hard work can now be found in each and every pack of Black Forest Organic candy at retailers everywhere. View More In Candy & Chocolate Bars. If you have any questions about this product by Black Forest Organic, contact us by completing and submitting the form below. If you are looking for a specif part number, please include it with your message. Darlington Farms Strawberry Oatmeal Bar, 2.4 Ounce -- 160 per case.